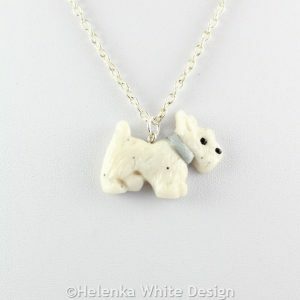 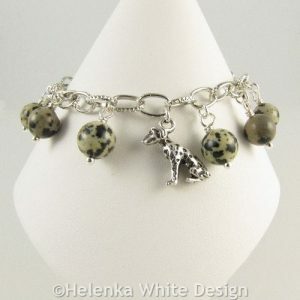 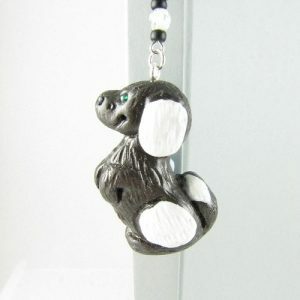 I can create a cute West Highland Terrier pendant like this to order with polymer clay in colours of your choice. 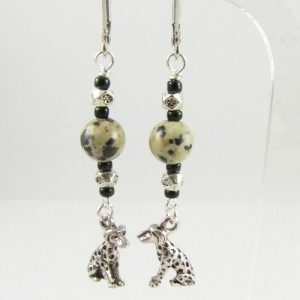 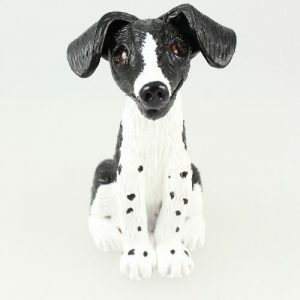 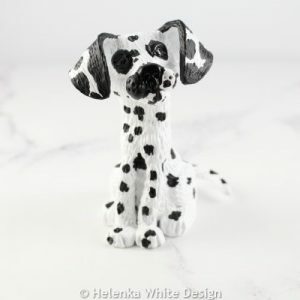 Dalmatian earrings – handcrafted with silver plated 3D Dalmatian charms, Tibetan silver beads and Dalmatian Jasper beads.They hang on silver plated continental ear wires. 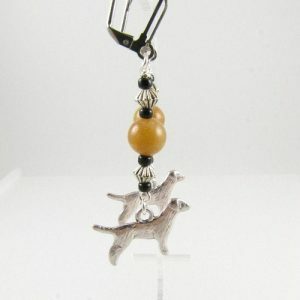 Golden Retriever earrings – handcrafted with silver plated Golden Retriever charms, Tibetan silver beads and Golden Honey Jade beads.They hang on silver plated continental ear wires. 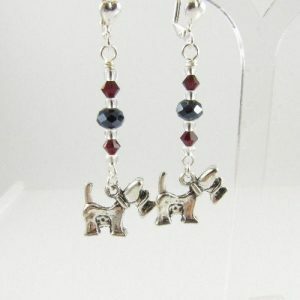 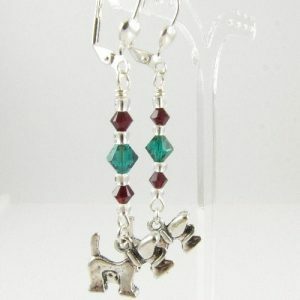 West Highland Terrier earrings – handcrafted with siam Swarovski bicone crystals, black crystal rondelle beads and silver plated double sided Westie charms.They hang on silver plated continental ear wires. 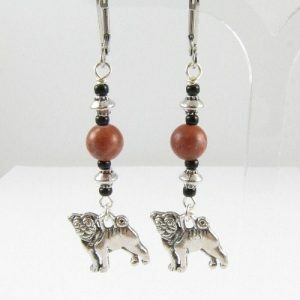 Pug earrings with red Malachite beads – handcrafted with silver plated double sided pug charms, Tibetan silver beads and red Malachite beads.They hang on silver plated continental ear wires. 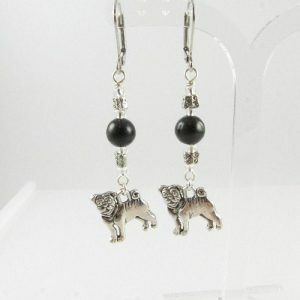 Pug earrings with black Obsidian beads – handcrafted with silver plated double sided pug charms, Tibetan silver butterfly beads and black Obsidian beads.They hang on silver plated continental ear wires. 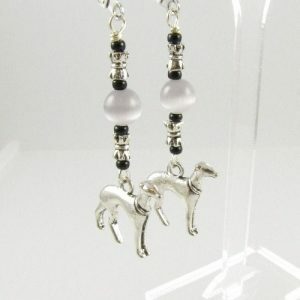 Greyhound earrings – handcrafted with silver plated 3D greyhound charms, Tibetan silver beads and grey Cat’s Eye beads.They hang on silver plated continental ear wires. 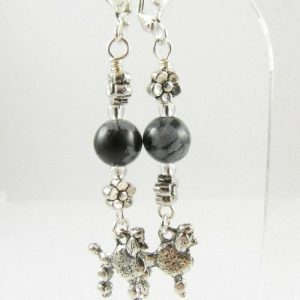 Poodle earrings – handcrafted with Snowflake Obsidian beads, Tibetan silver flower beads and silver plated poodle charms.They hang on silver plated continental ear wires. 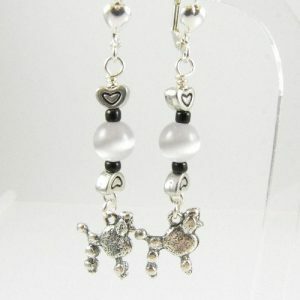 Poodle earrings – handcrafted with grey Cat’s Eye beads, Tibetan silver heart beads and silver plated poodle charms.They hang on silver plated continental ear wires.